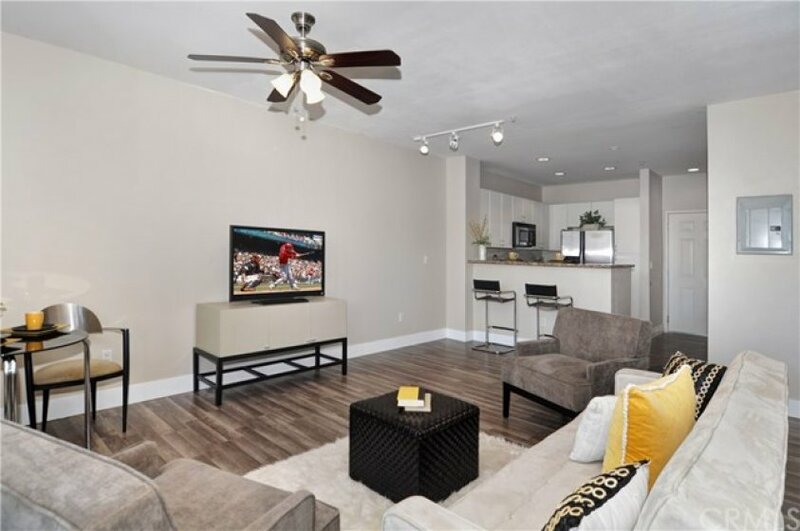 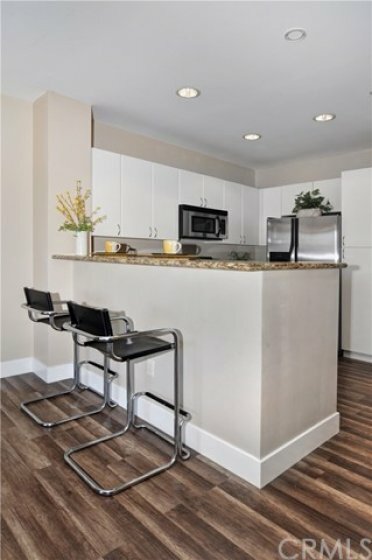 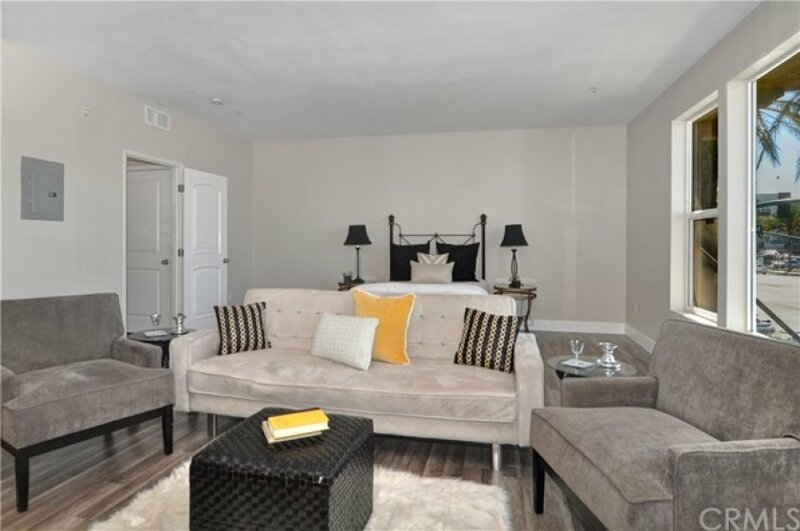 Welcome to A beautiful, sunlight unit in the Southeast wing of the resort-style Stadium Lofts community. 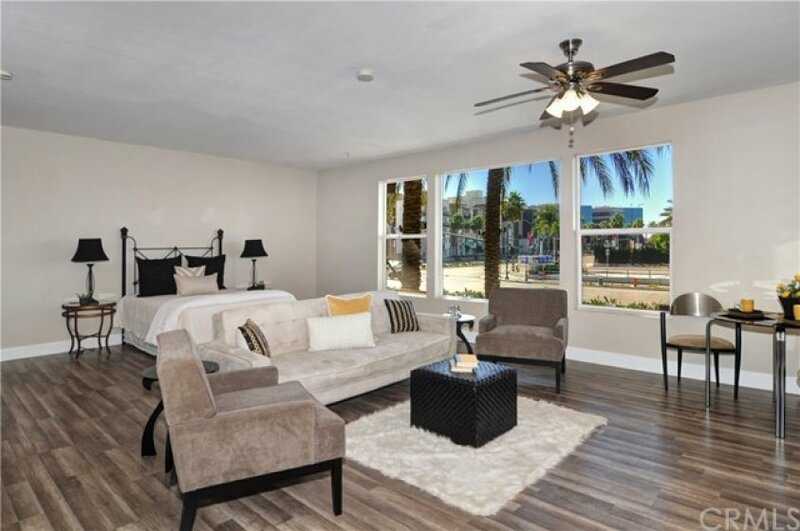 This unit has an open floorplan, vinyl windows, and 10-foot ceilings. 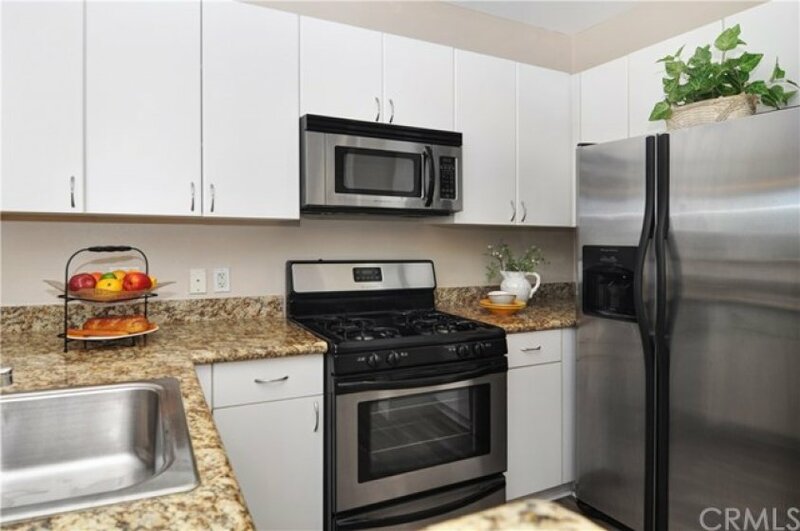 The kitchen is complete with stainless steel appliances, a breakfast bar and granite countertops, opening to both the dining and living area. 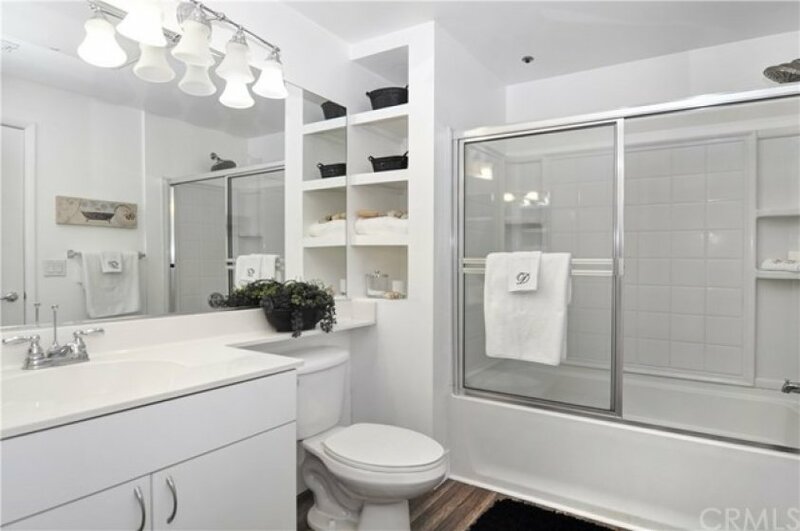 Recently updated flooring and paint freshen this unit. 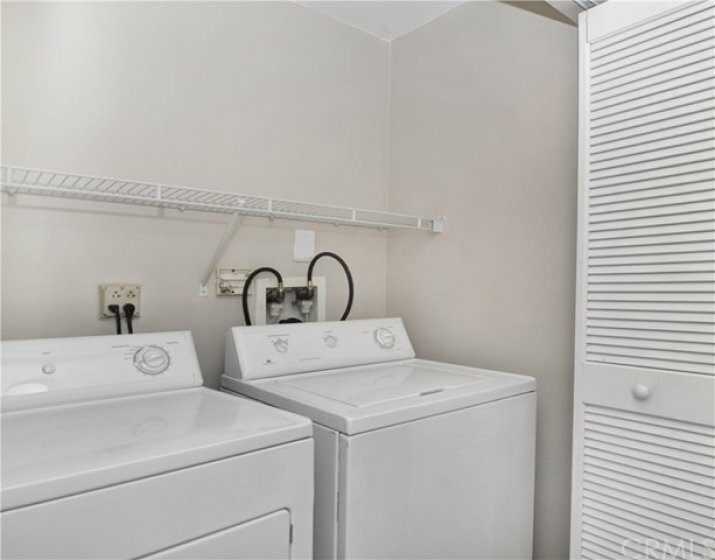 Ample storage and indoor laundry. 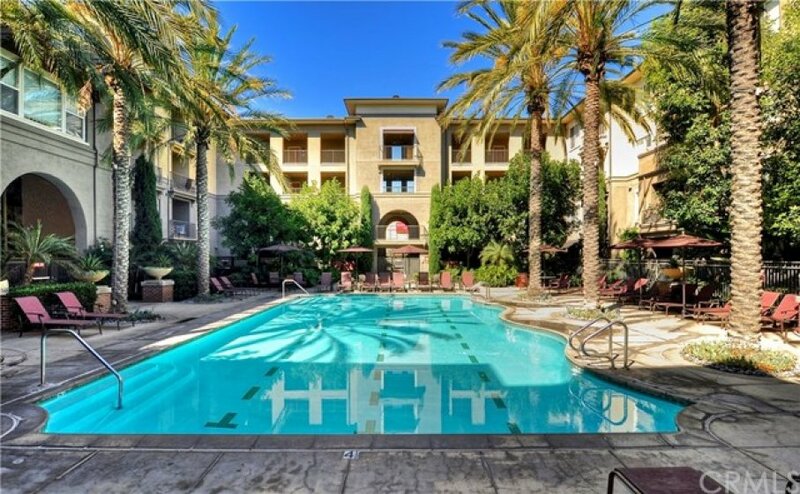 Association amenities include heated pool and spa; sunning deck; dry sauna; conference room and business center; multimedia entertainment room; club/game room with fully equipped modern kitchen, pool table, and shuffleboard; fully equipped fitness center; and landscaped garden courtyards with fountains and barbecue areas. 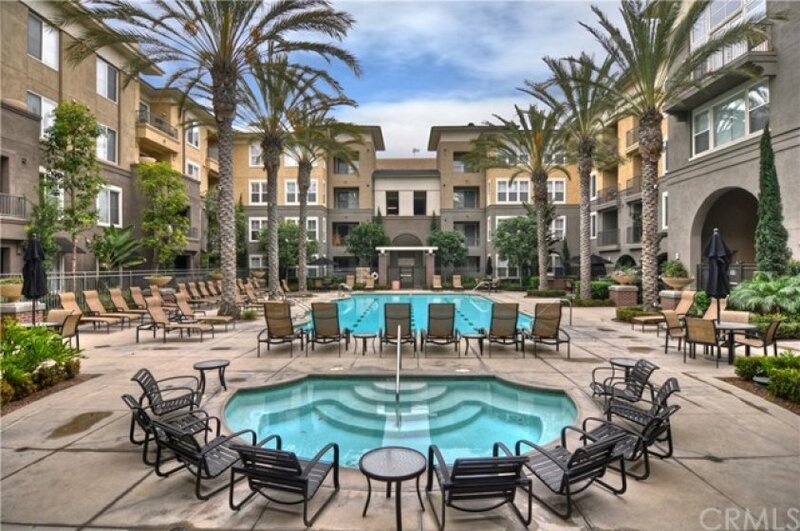 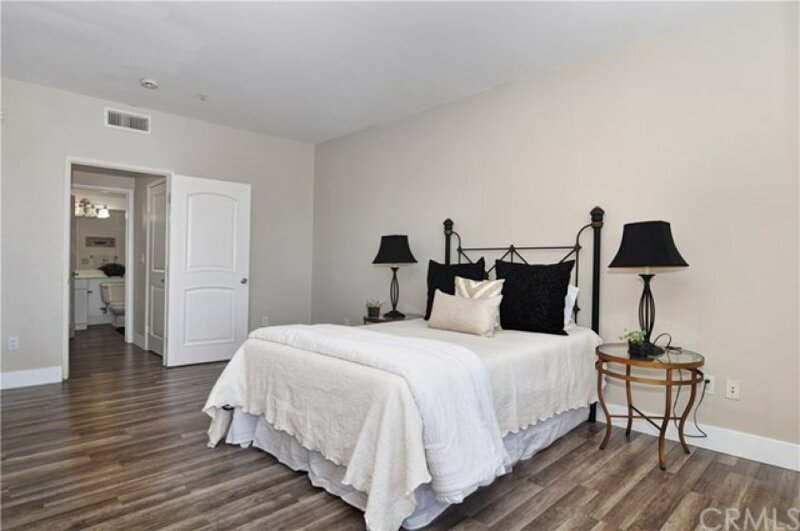 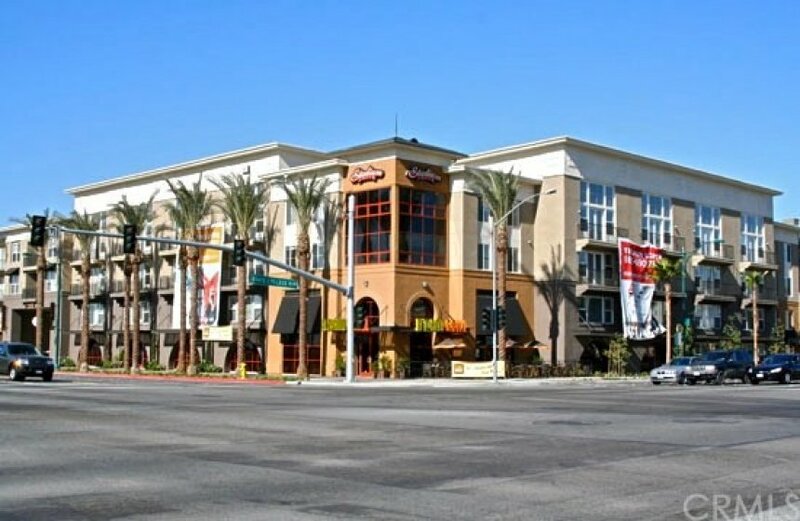 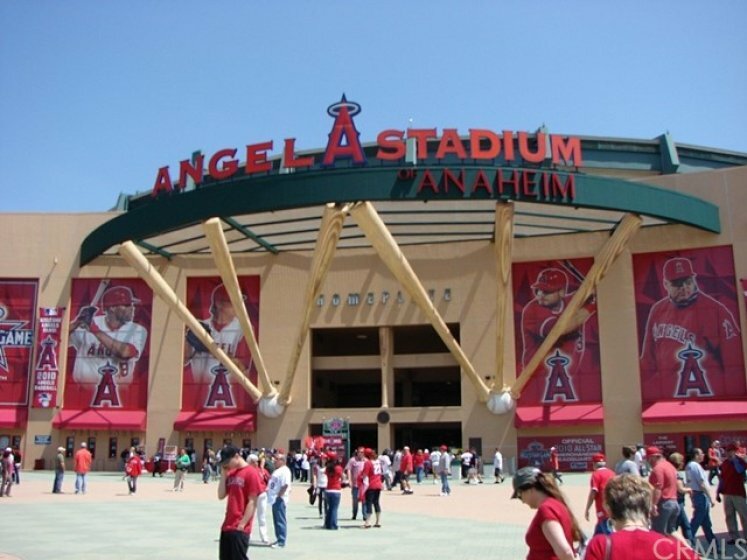 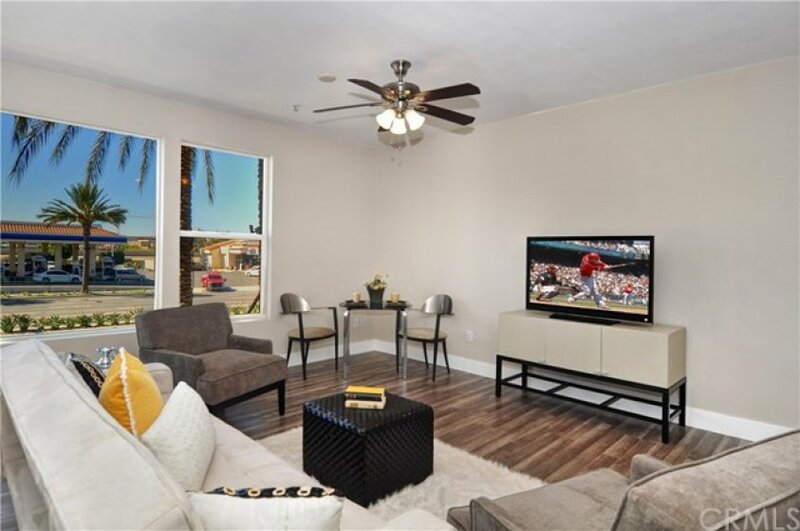 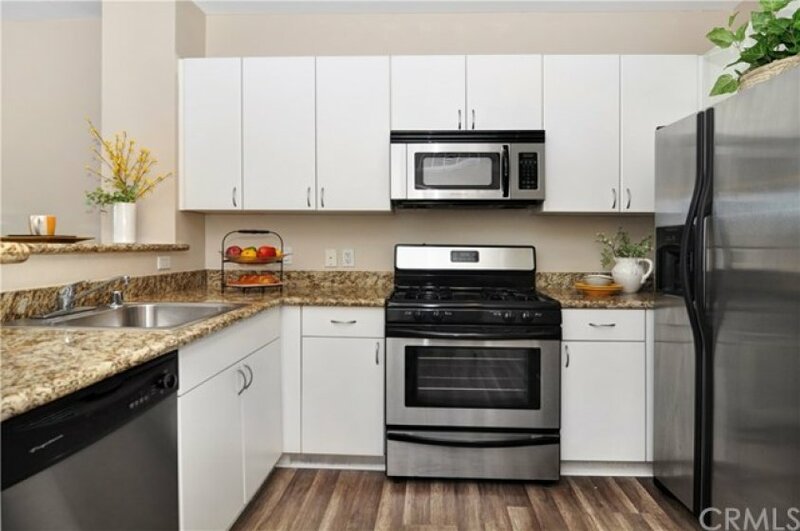 Desirable location in Anaheim's dynamic Platinum Triangle, close to Anaheim Stadium, The Gardenwalk, Honda Center, The Grove, the Amtrak station, and of course the magic of Disneyland and Downtown Disney. 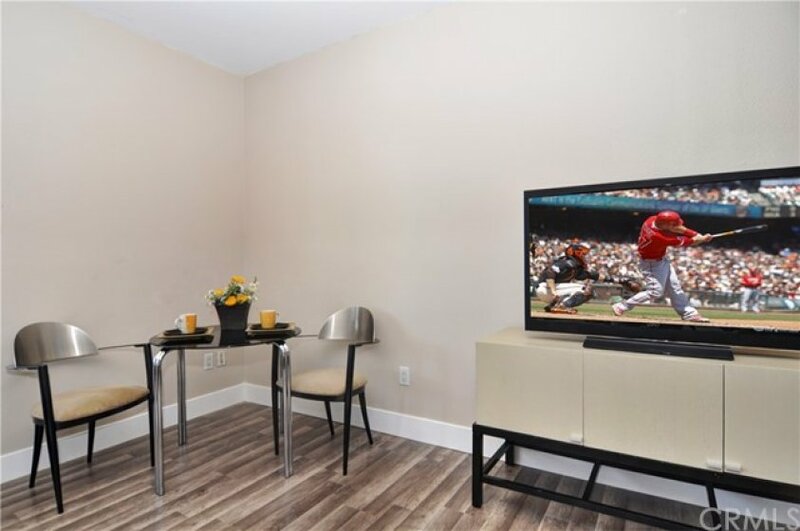 Come see what makes this place so special. 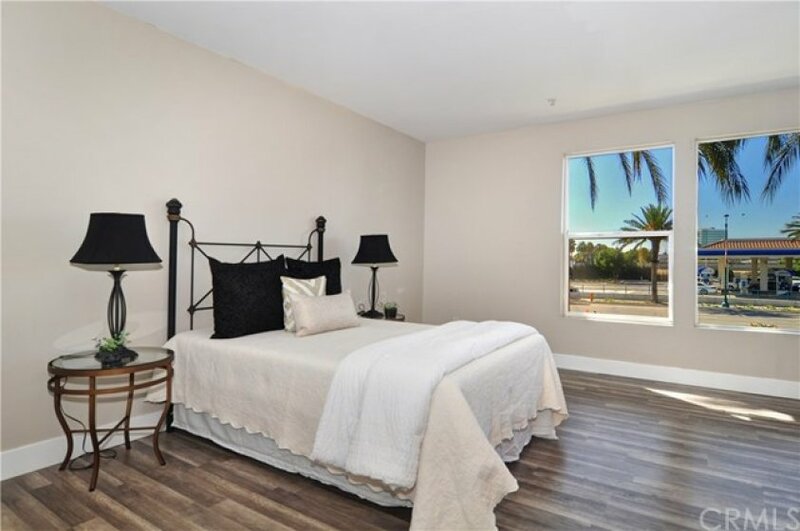 Listing provided courtesy of Lars Nordstrom at First Team Real Estate.